In 2014 an event occurred that forever transformed online communication. For the first time ever, mobile internet use became more common than PC/desktop browsing. Simply put, more people use mobile devices to connect with businesses, organizations and the healthcare industry. One of the keys to success for any hospital is its ability to communicate with patients, doctors and other stakeholders. How much of an impact can advanced online technologies such as apps and artificial intelligence (AI) make? Let’s find out. Custom Medical Group & Hospital Apps How much time and money do medical practices and hospitals spend on communicating with patients about lab results, appointments and care messages? Perhaps the more important question is what happens when these communications fail? Patient Friendly As the population becomes more connected, people value being able to address their medical concerns with device apps. Confidence in apps has grown by leaps and bounds in the retail sector with up to 50% of all purchases being made by mobile device .In fact, business that do not offer mobile friendly interaction get left behind more often than not. 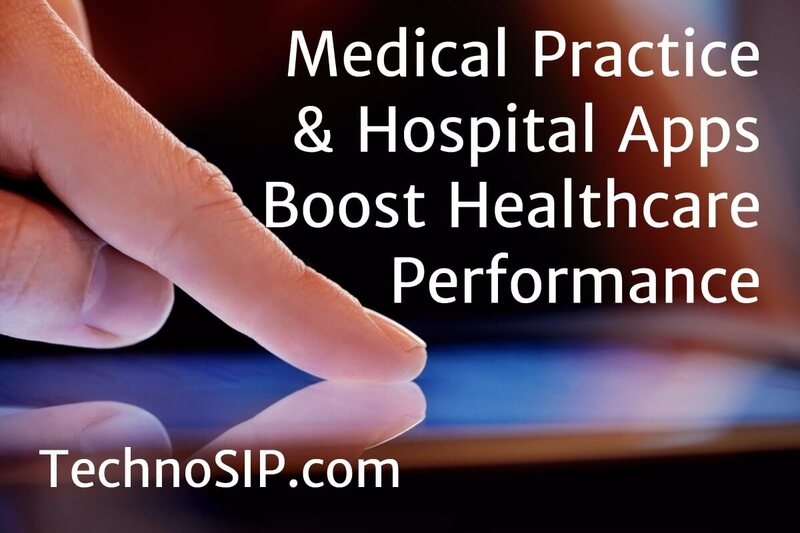 Want an app built exclusively for your hospital or practice? Call (201) 633 4050 or Contact Us to find out how. 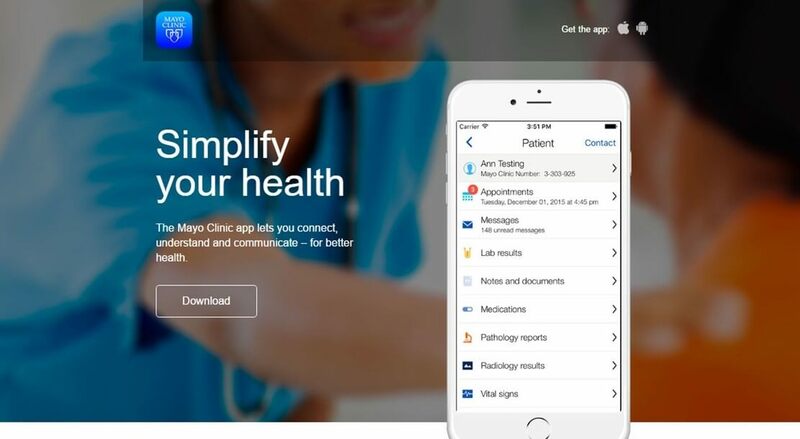 If we take a cue from the Mayo Clinic , we can see how powerful apps can be in regards to healthcare. As we can see, the amount of human labor associated with these tasks can be tremendous. Imagine how much more efficient office staff could be if freed from these chores. Furthermore, we can envision how care improves with automated communication. Calls and information are much more likely to be overlooked by human error. Also, apps can provide a running log of all activity so there’s no question as to whether or not a communication occurred. Website Not Enough In the past, having a website was an adequate online presence. The next step was to make sure your site was mobile friendly. If users could not read your web content on their smartphone, many potential contacts were lost. The next logical step is being able to interact fully with your audience via apps. This app phase has been embraced by leading institutions such as the Mayo Clinic, Massachusetts General Hospital, the Cleveland Clinic, UCLA and many others. This trend will most likely continue, and early adopters stand to gain a distinct competitive advantage. Not Just For Top Medical Centers This move towards increased digitalization is not reserved strictly for the largest healthcare centers. In fact, app development can be customized, at an affordable cost, for nearly any size hospital, medical center or multiphysician practice. In nearly every case, cost savings and improved patient care are the result. Taking IT One Step Further As part of this growing digital trend, new technology has arisen in the form of artificial intelligence. One powerful example of this is the chatbot. For instance, when a patient arrives to your website, they are offered the opportunity for a “live” chat. Chatbots field these incoming conversations as AI bots can answer the most common and even some uncommon questions. Still, if the bot can’t answer a question, a seamless handoff to a human staff member is essential. The beauty of this tool is that the user is unaware of the AI tech and comes away satisfied with the exchange. The human backup makes sure no matter how complex the problem turns out to be, an answer is provided. Unlimited Potential The examples described so far are only the start of how much digitalization can optimize hospitalpatient interaction and overall business management. For instance, patient monitoring can be linked to health device wearables to improve care for diseases such as diabetes or high blood pressure. Digital medical records can improve patient satisfaction and streamline the consultation process between doctors. Finally, clinical trials and chronic illness management are greatly enhanced by apps that can be implemented with little or no disruption of services. Branding Advantage As suggested earlier, apps and AI technology boost a hospital or medical center’s brand presence immeasurably. The improved patient care, increased online visibility and 24/7 availability all combine to help any healthcare organization open new avenues of growth and revenue. For example, a healthy living app might attract potential patients not yet captured by the health care system. However, by offering free health advice, the brand becomes recognized as a trusted voice which leads to positive business outcomes. Save time and money for your hospital or health center. Digitalize now. Call (201) 633 4050 or Contact Us to find out more.